ASUS wins big s at the 2018 iF Product Design Awards. Spanning three product categories — Gaming Hardware/VR, Computer, and Telecommunications — the award-winning products represent the ASUS commitment to design innovation and engineering excellence. The awarded products were selected from a competitive field of 6,400 entries from 54 countries. The most expensive ASUS ROG G703 that goes for R 69999. 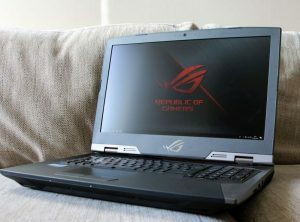 The gaming laptops ROG G703 and ROG Zephyrus won awards while the Zenbook FlipS convertible laptop and ASUS FX503 also received a nod. All are available in South Africa. ROG G703 is the world’s first gaming laptop with an ultrasmooth 17.3-inch Full HD IPS-level display with NVIDIA® G-SYNC™ technology for a 144Hz refresh rate. Powered by the factory-overclocked Intel® Core™ i7-7820HK processor that reaches incredible speeds of up to 4.3GHz out of the box, NVIDIA GeForce® GTX 1080 graphics with a maximum boost clock of up to 1974MHz, and Windows 10, ROG G703 is an unmatched gaming powerhouse. ROG Zephyrus is the world’s slimmest gaming laptop powered by a 7th Generation Intel® Core™ i7 processor and the latest NVIDIA® GeForce® GTX 1080 (Max-Q) graphics. It features the Windows 10 Creators Update, which improves the performance of PC games via the all-new Windows Game Mode while also making it easier to perform native game-streaming with Beam, Microsoft’s streaming service. 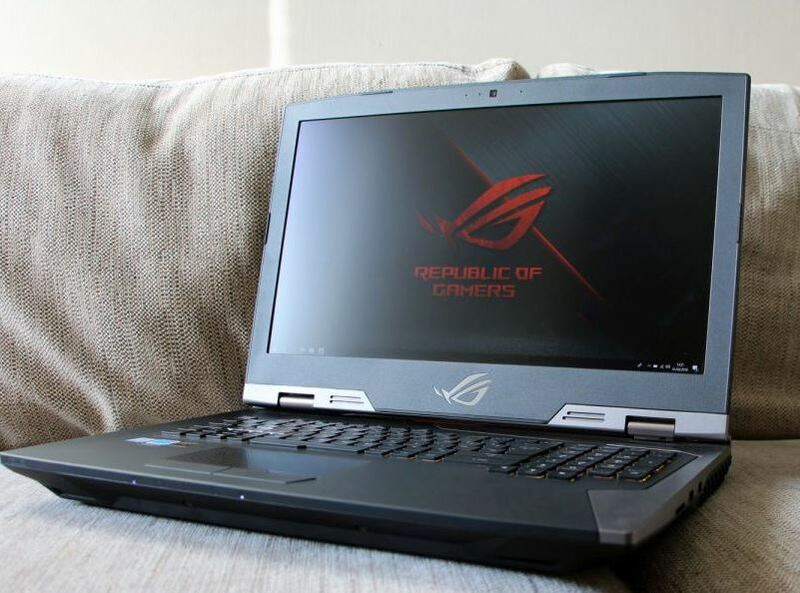 The 15.6-inch ROG Zephyrus features an ultraslim profile and incorporates the ROG-exclusive Active Aerodynamic System (AAS) — a specially designed cooling system. It also features customizable ASUS Aura RGB lighting effects and a superfast 120Hz panel with wide-view technology, 100 percent sRGB color gamut and NVIDIA G-SYNC™ for breathtaking gaming visuals. ZenBook Flip S is the world’s thinnest convertible laptop and it’s also one of the lightest. A mere 10.9mm thick and weighing only 1.1 kg, it features an Intel Core i7 processor, up to a 1TB SSD, 16 GB of RAM, a 13.3-inch high-resolution display with ASUS Pen support, and two USB-C ports. The new 360° ErgoLift hinge on ZenBook Flip S is smooth and stable, holding the display securely at any angle. The innovative hinge has a dual-action mechanism that lifts and tilts the keyboard into the perfect typing position when the display is opened beyond 135°. The integrated fingerprint scanner in the ZenBook Flip S is one of the slimmest scanners in the world, and it’s positioned on the side of the laptop for easy access in any mode. ASUS FX503 is a compact and powerful Windows 10 laptop that packs the latest 7th Generation Intel® Core™ processor and NVIDIA® GeForce® GTX 10-Series graphics. A high-capacity battery ensures that users stay productive or entertained throughout the day, while an intelligent cooling system enables graphically intense gaming sessions without throttling. FX503 is the first in the series to feature an ultrafast 120Hz, 15.6-inch Full HD display for cinematic experiences and smoothest gameplay. While offering power and performance, its lightweight design allows for easy portability. In the other categories, the award-winning products are the ASUS TUF X299 Mark 1 motherboard, ASUS Zen AiO ZN242 all-in-one desktop, ZenBook Flip S (UX370) convertible laptop, ASUS Designo MZ27 monitor, ASUS Zenbo smart home robot, and ASUSPRO B9440 business laptop. The ZenFone 4 Series won an award in the Telecommunications category. Each year, the world’s oldest independent design organization, Hannover-based iF International Forum Design GmbH, organizes the iF Design Awards. These awards are recognized worldwide as a seal of quality for products that excel in specific criteria, including design quality, degree of innovation, functionality, ergonomics and more. An independent jury of 63 experts from countries around the world assesses products and selects winners and ASUS is extremely proud of this incredible achievement.